This comes together quite quickly, and it would be perfect for holiday parties. You could easily keep it warm on the stove or in a crock pot. 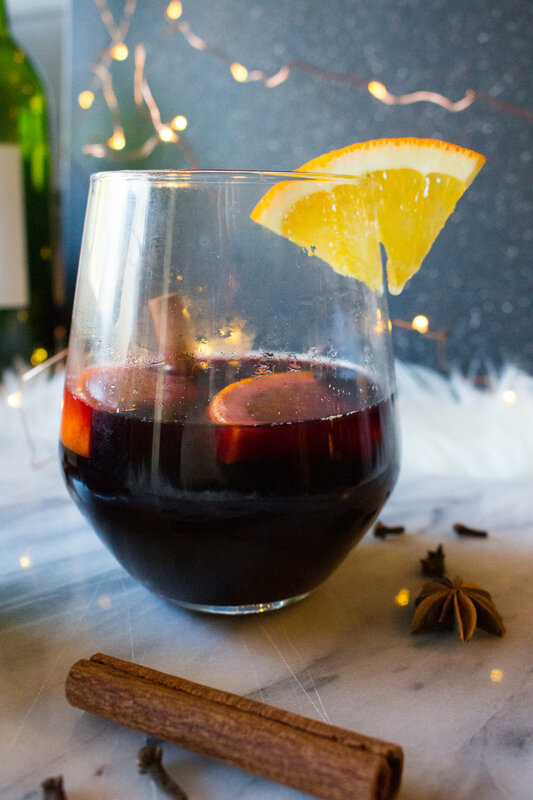 You will want to choose a sweeter red wine for this recipe, otherwise it will be too bitter. 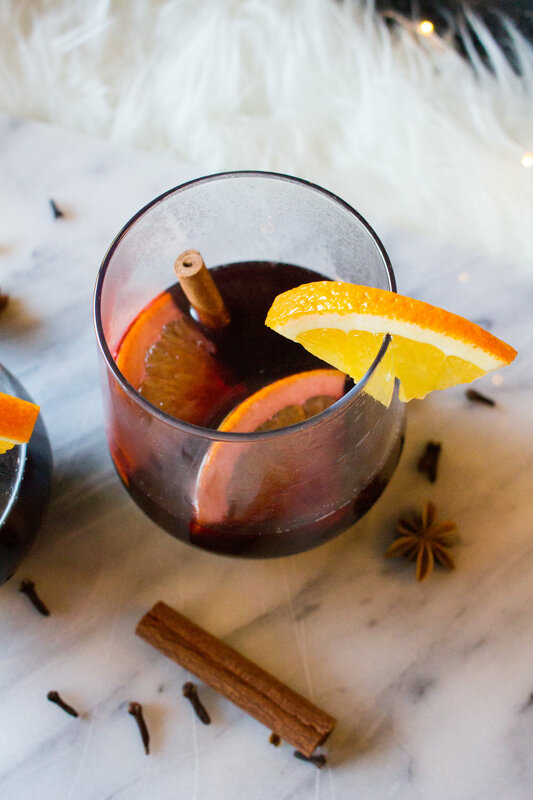 I am about to curl up with a glass of this mulled wine and watch a cheesy Christmas movie, 'tis the season. Combine all of the ingredients in a large pot over medium high heat. Bring up to a boil, and then reduce to a simmer (you don't want to boil out all of the alcohol!) for about 15 minutes. Remove from heat, and let cool for a few minutes. Serve with additional orange slices and cinnamon sticks!